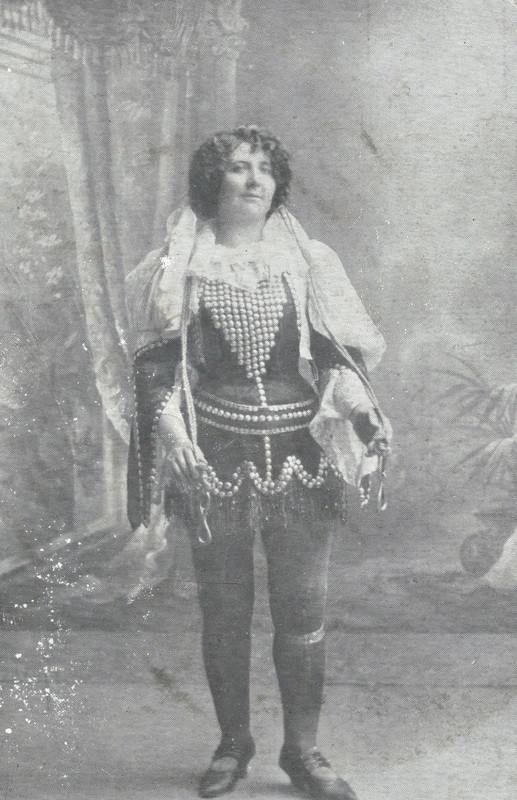 This is a photo of Malvina Dunreath who is described on the card as an instrumentalist, singer and long boot dancer. It’s hard to tell how old she is but she’s dressed as a young girl. From a distance and with poor lighting the audience might have believed she was very young. I would be grateful for any information on her, having found only brief references to her over a few years. 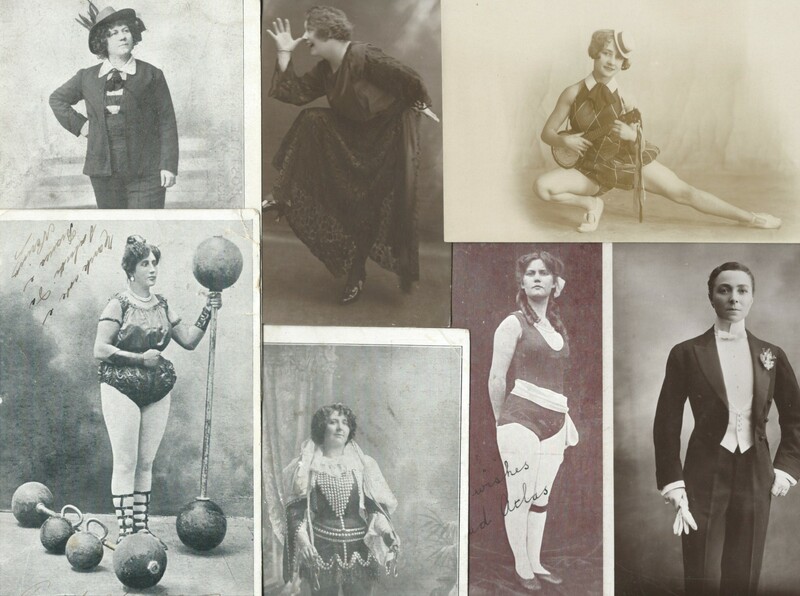 She appeared at the Gem Picture Hall in Tring in 1914 billed as a comedienne and dancer and at the Panopticon in Lanarkshire in 1915. In April 1917 she is at the Hippodrome, Chesterfield in an ‘Expensive Engagement, direct from London of the Revue of Revues.’ Malvina Dunreath is presented in ‘song and dance.’ The last reference I can find is of an appearance in Derry in August 1918. 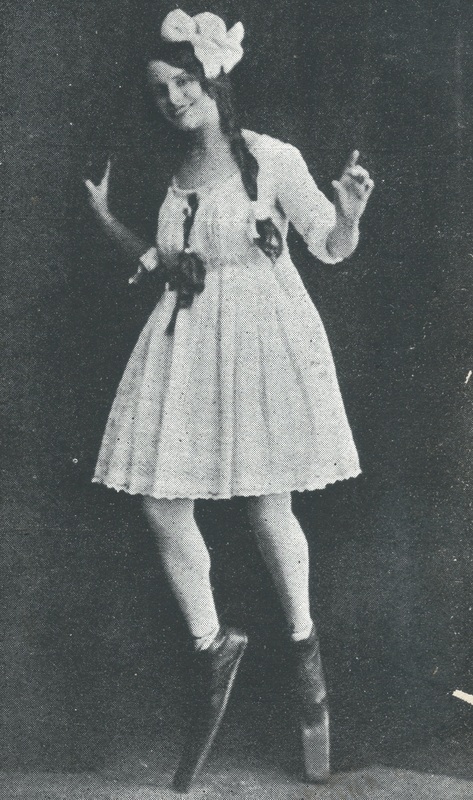 She is mentioned as ‘one of three first class variety numbers drawing crowded houses.’ Malvina Dunreath’s contributions ‘readily win favour for her.’ There is no mention of the long boot dancing. In June of the same year Herculine visited Penzance Fair and was no doubt pleased to know that an R. Julyan George reported ‘I hereby certify that I have seen Madame Herculine’s performance and have examined her hair and head, and believe her to be genuine in what she does.’ Perhaps a wise conclusion as she was a strong woman. In August 1913 she was at Sunderland Town Moor Carnival lifting and firing a huge naval cannon. Finally, on the back of a card of Herculine, Percy writes to Walter, ‘Just a photo of my intended. What do you think of her? Expect wedding cake soon.’ Pity she couldn’t respond. This entry was posted in Long boot dancer, Strong women and tagged Herculine, Malvina Dunreath on August 21, 2015 by Monomania.